UPDATE: According to Wall Street Journal, we could be looking at an incredible price to performance value on the new Polaris cards. The website quotes the price of AMD’s new graphics card at $199 US which sounds very good. 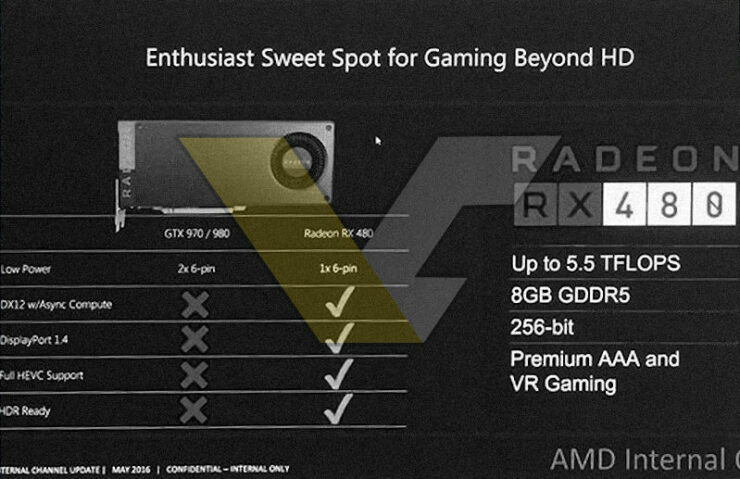 The site also mentions that AMD would be launching these cards at the end of June which confirms the NDA lift date of 29th June as previously reported. The specifications of AMD’s Polaris 10 based Radeon RX 480 graphics card have been leaked ahead of today’s announcement. According to the leaked information, the AMD Radeon RX 480 will feature higher performance per watt efficiency compared to all other GCN graphics card. AMD is also pitting the card against the GeForce 900 series Maxwell parts such as the GTX 980 which means they are going to battle NVIDIA in the mainstream market. The AMD Radeon RX 480 graphics card will be unveiled by AMD in under 10 hours at their live Computex press conference. The leaked specifications however give us a preview of what to expect from the upcoming Polaris graphics card. First of all, we are looking at a graphics card whose sole purpose is to deliver premium AAA and VR gaming at 1440P resolution. This graphics card will be available at a very nice price point around $199 US as the slide points out. The AMD Radeon RX 480 graphics card specifications include the main Polaris 10 chip which delivers 5.5 TFLOP compute performance. AMD has deployed 8 GB of GDDR5 memory on the graphics card that operates along a 256-bit bus interface. We believe that AMD would be using the higher 8 GB/s memory chips on this board that have been available for a while. 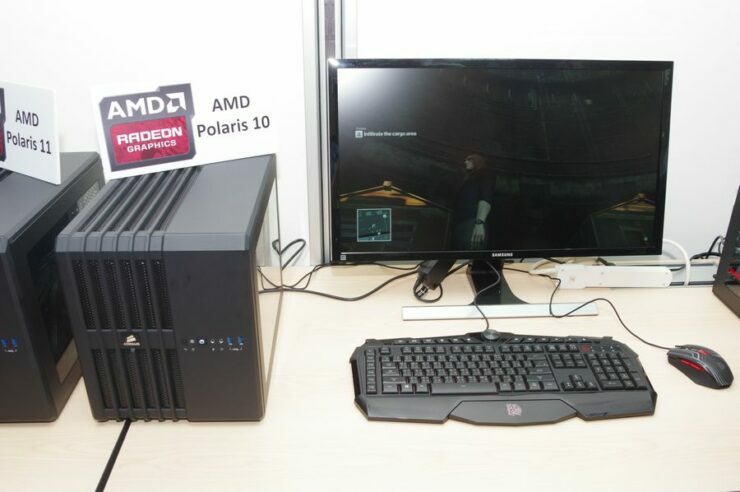 AMD Radeon RX 480 Polaris 10 graphics card was demoed a few days back at Polaris Tech Day. Some key features of the Radeon RX 480 graphics card include it’s low power board design which is rated at sub-150W. AMD actually suggests this as the main feature of their Radeon RX 480 graphics card compared to NVIDIA’s GeForce GTX 980 and GTX 970 graphics cards. 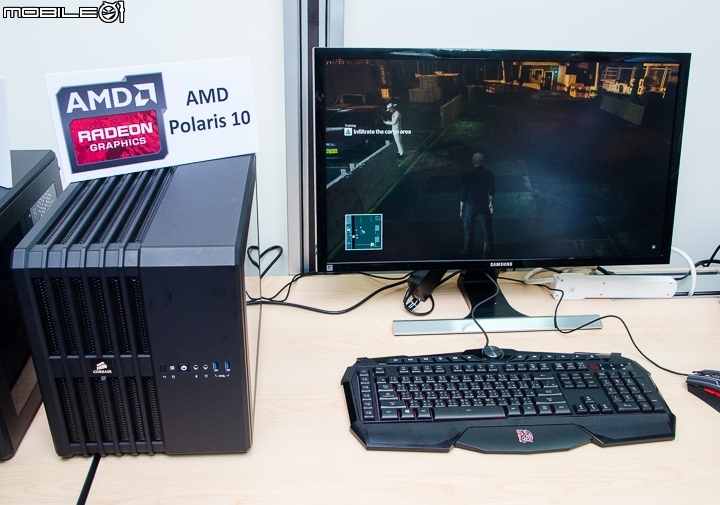 We are also looking at full DirectX 12 compatibility on the new Polaris architecture that features Asynchronous shaders. AMD cards will also deploy DisplayPort 1.4 capability, Full HEVC support and will be HDR Ready. Most of these features are not available on the NVIDIA GeForce 900 series parts but they are available on NVIDIA’s latest Pascal generation of GPUs. According to the recent leaks, NVIDIA has a more budget oriented GeForce 10 series graphics card that may hit the market soon enough. It’s clearly seen that AMD is pointing their guns at NVIDIA’s GM204 based graphics card. The reason for this is that NVIDIA hasn’t yet launched a sub $300 US graphics card and AMD on the other hand don’t have a chip to compete against the GP104 GPU. So in a way, NVIDIA and AMD are aiming at totally different markets this time. AMD is betting on the mainstream and entry level market with their Polaris graphics card while GP104 GPU is aiming the high-end stuff with prices beyond $350 US and up to $600 US. 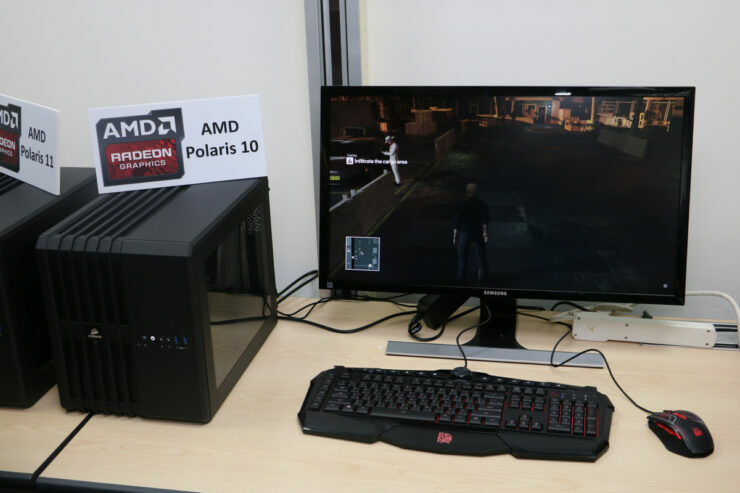 AMD Polaris 10 has previously been demoed running Hitman in DirectX 12 at 1440P resolution. AMD’s strategy is plain and simple. They want to take back a chunk of market share by offering performance better than both 970 and 980 at insanely low prices. Their new graphics card will be capable of delivering the best performance in games beyond the usual 1080p resolution. 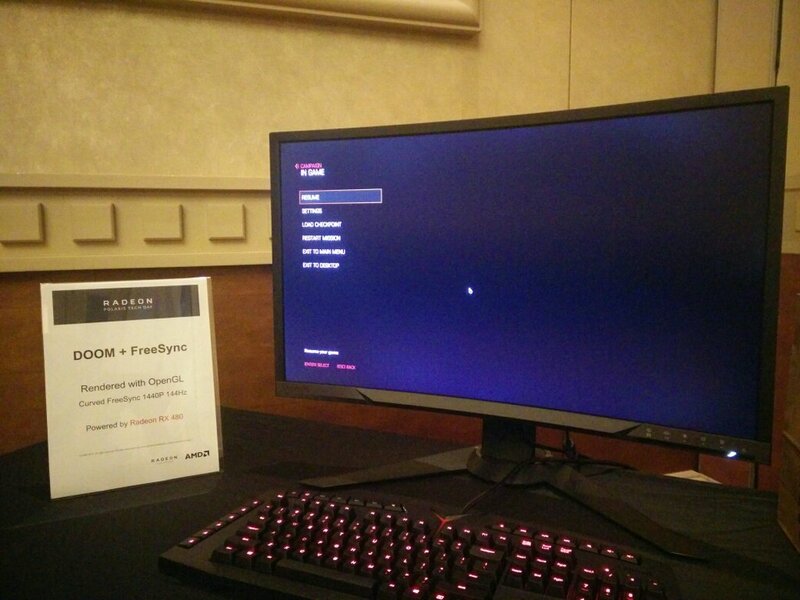 AMD cards will be targeting the 1440P display resolution. They will do so while requiring a single PCI-e connector. This suggests that AMD cards have TDP of under 150W while NVIDIA GP104 has TDPs starting at 150W with the GTX 1070 and going up to 180W on the GTX 1080. It’s really interesting to see these specifications of AMD’s Polaris 10 card and the way its competes against the GeForce 900 series cards. We can’t wait to hear more about the AMD Polaris graphics cards from AMD itself in few hours.